Cleveland has given us Superman, Pierogis, and Rock and Roll. But, there’s much more to this lakeside Midwestern city to discover. A new book, Secret Cleveland: A Guide to the Weird, Wonderful and Obscure, points readers to some of the lessor known attractions and shares some of Cleveland’s hidden secrets, including some located in plain sight! If you’re looking for weird things to see in Cleveland, look no further. When you think of Cleveland, I doubt weird is a word that you would use to describe this city full of art, culture and sports. Yet, like most destinations, it does have its share of quirky attractions waiting to be revealed, and yes, some of those are on the peculiar side. 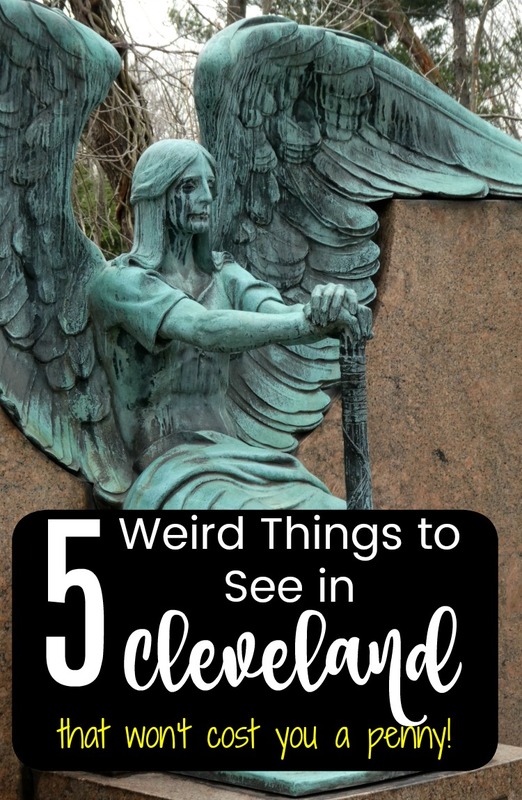 Today, I’m sharing a few of my favorite weird things to see in Cleveland that are also free. So grab your camera and walking shoes and join me! Constructed in the 1920s as the entrance to a proposed subdivision off Hillandale Park in Euclid, this bridge is all that remains of the anticipated housing development that went belly up in the Great Depression. 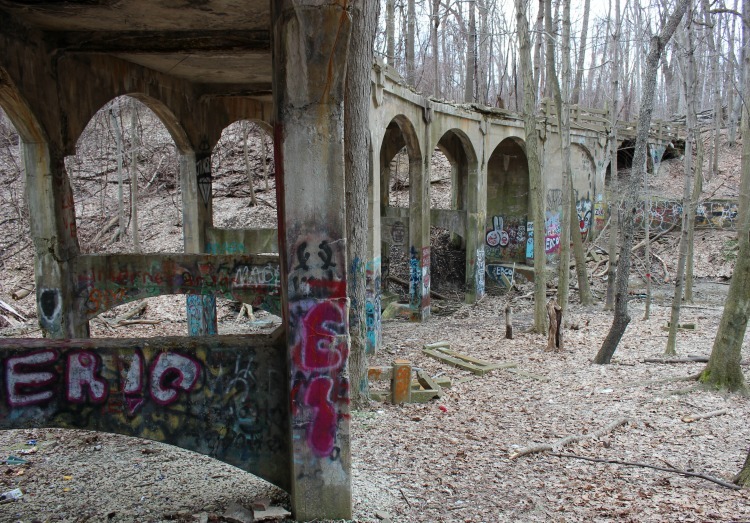 From the look of the trash left behind, the bridge, left to decay like the leaves that have fallen from the surrounding trees, provides cover for partiers and graffiti artists who gather at the base of the bridge in the ravine. Today, the Bridge to that leads Nowhere is a photographer’s dream. Some of the artwork left behind is not entirely appropriate, though. TravelingMom Tip: Wear good hiking shoes to descend into the ravine. A Haunting We Will Go…or Will We? 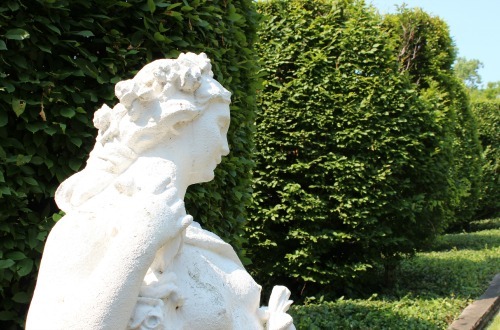 Visiting the Lake View Cemetery in Cleveland, Ohio, it’s easy to see why it has earned the unofficial title of “Outdoor Art Museum.” The scope of ornamental cemetery sculptures within its gates are impressive. The filming site of one of the scenes in Captain America: The Winter Soldier. Yet, the weirdest phenomena in this cemetery is none of the above. Rather, it’s a bronze statue that is rumored to weep black tears. 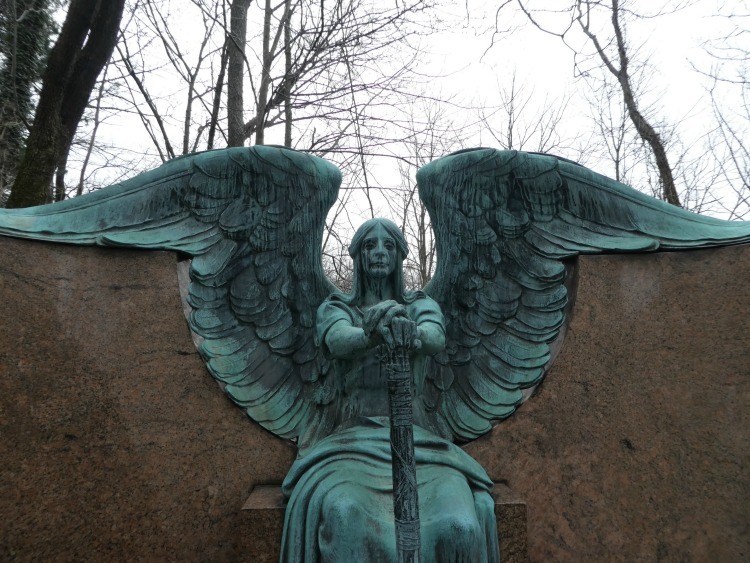 The Haserot Angel is probably the most photographed grave marker in the park. For good reason. Other than being generally creepy, it’s also incredibly beautiful. Some may claim that the tear-streaked face is proof of a haunted soul. I choose to believe the discoloration is the effects of years of pollution and acid rain. Suppose there was an alternate universe that was parallel to ours with secret entrance gateways located all over the world? The only access point in the entire state of Ohio just happens to be in Cleveland Heights on Perkins Street. A simple metal plaque attached to building in the industrial area is the only visible hint of this otherworld. Do you dare approach the doorway to the fictional land of the Warres where organisms that live without metabolisms reside? I don’t know about you, but I think I’ll linger behind and send my buddies ahead to read the plaque. Pills, Poison, and Excrement, Oh My! The Percy Skuy Collection on the History of Conception inside the Dittrick Museum of Medical History gives visitors a look into the past, present and future of contraceptives. While this museum shares practices that do work to prevent pregnancy, if you’re like me, it’s the unsuccessful attempts that you may find most interesting. Would you ingest beaver testicles, crocodile excrement, or poison to avoid procreation? These are only three of hundreds of methods that have been tested. All are now on display in this weird collection. 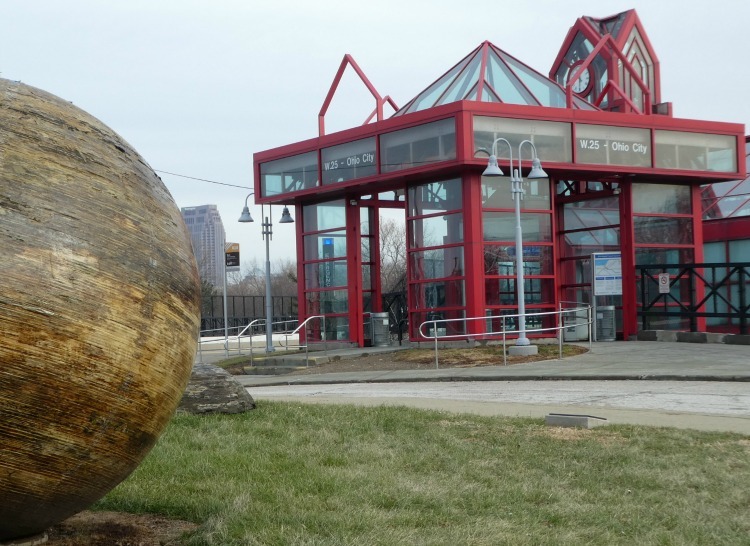 Located near the Westside Market, a sphere 8 feet in diameter rests on the lawn, across from Ohio City Rapid Station. Upon closer inspection, you’ll see two partial orbs that seem to be protruding from the ground. While you’re waiting for aliens to break free from within, you may find it interesting to know that the plywood center contains a time capsule that will be opened in 2050. Why not ponder the contents while you walk across the street to the Westside Market, the city’s oldest operating and municipally owned market? Once there you can try one of the ethnic delicacies available from nearly 100 vendors and no, there’s nothing weird about that. TravelingMom Tip: Street parking is available nearby or park across the street in the Westside Market lot. You can learn more about these and 85 other attractions including the Christmas Story House and Museum (which now welcomes overnight guests) in Secret Cleveland: A Guide to the Weird, Wonderful and Obscure. Written by Deb Thompson and Tonya Prater, the book is now available for purchase at Amazon.com. 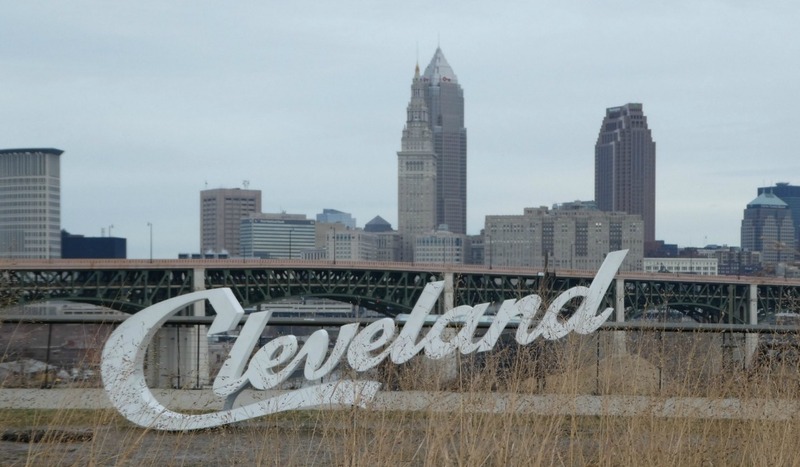 Have you discovered any weird free things to see in Cleveland? Leave a comment below and share it with us! Tonya Prater is a wife, mom, and travel writer. She road trips throughout the US on a mission to find the fun, quirky stops that most people drive past. Not one to pass up an opportunity to travel, you’ll find Tonya exploring her home state of Ohio and beyond while documenting her experiences at TheTravelingPraters.com. Chicago's Shedd Aquarium: Is it worth the high cost? Previous Post: « Why Book an Adventures by Disney Costa Rica Tour?